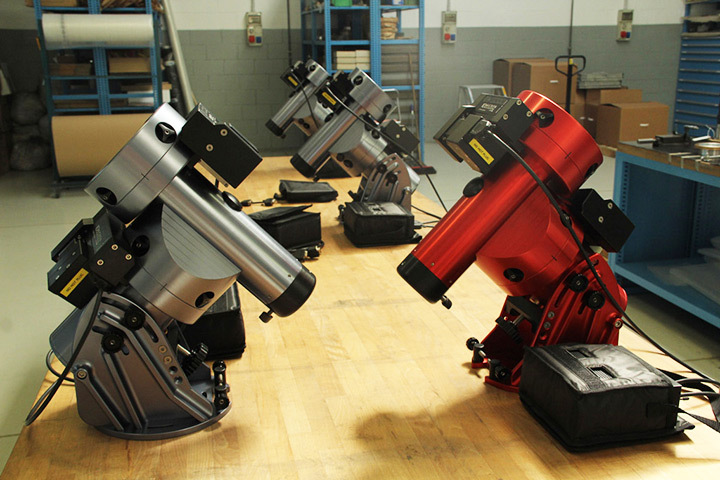 For our high-quality telescopes, we can also offer you the matching mounts. 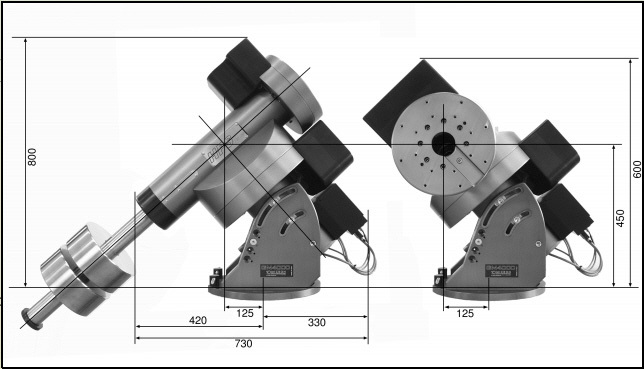 With the models GM3000HPS and GM4000HPS 10Micron has created two precise and robust GoTo mounts ideal with our telescopes. 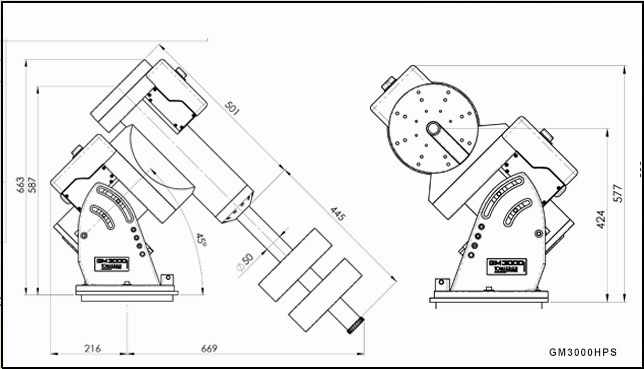 The GM HPS mounts have absolute encoders on both axes. 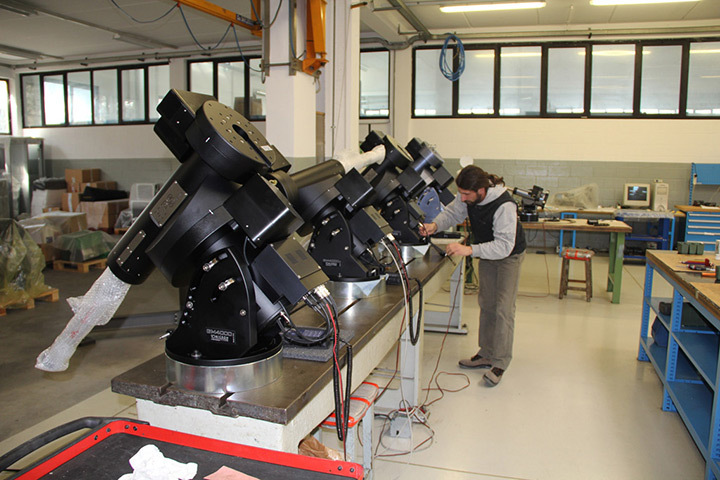 The mounts never lose their orientation even if the axes are adjusted manually. 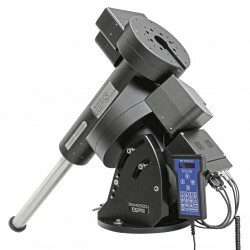 The equatorial mount GM 3000 HPS is the ideal mount for our 16 and 18 inch RC telescopes and astrographs. The mount reaches a satellite tracking and positioning speed of 12 deg/sec. with an average positioning accuracy <20 "and a tracking accuracy of about 1"/15 min (peak to peak). The mount is also equipped with high-precision absolute encoders on both axes, which opens up completely new possibilities. It never loses orientation, even if you adjust the axes manually. Maximum load: 100 kg (220 lbs) pure instrument weight, optimum load capacity 80 kg instrument weight. The transportation box and the steel column adapter must be ordered with freight forwarding supplies to deliver the GM4000 by freight carrier safely and in compliance with insurance provisions. Counterweights are needed in the required number. 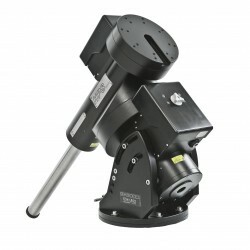 The equatorial mount GM 4000 HPS is the ideal mount for our 18 inch to 24 inch RC telescopes and Newton astrographs. 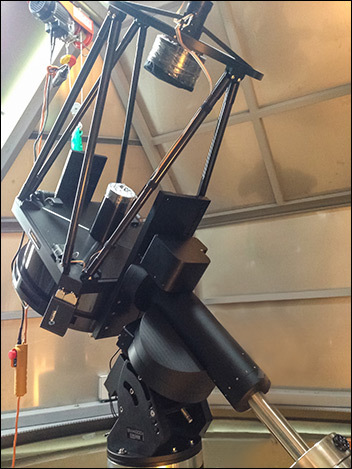 The GM 4000 HPS is one of the most viable mounts produced in series. The mount reaches a satellite tracking and positioning speed of 10 deg/sec. with an average positioning accuracy <20 "and a tracking accuracy of about 1"/15 min (peak to peak). 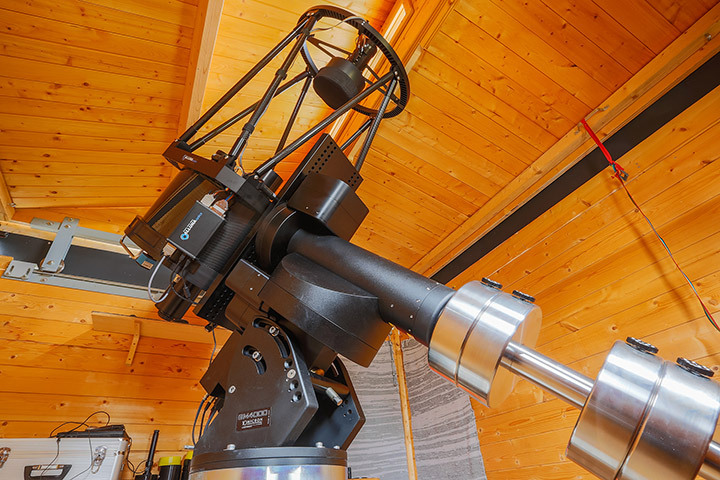 The mount also has highly accurate absolute encoders on both axes, which opens up completely new possibilities. It never loses orientation, even if you adjust the axes manually. Maximum load: 150 kg (330 lbs) pure instrument weight, the optimum load is 130 kg.